This material is nearly 100% recycled material. And 55% is made of waste wood and 45% is waste plastics. The "※" in the color symbol,please substitute B, or L When you order. ●This material is made without splintering. 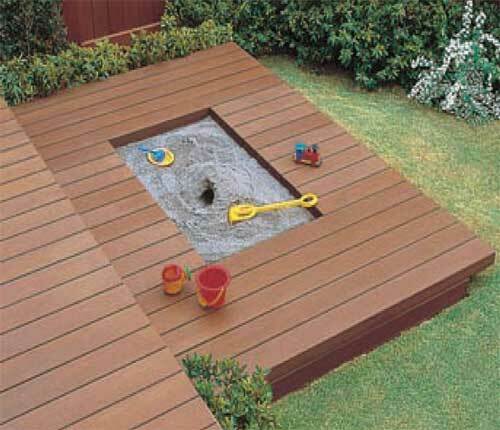 ●The surface is slip-resistant and does not wear down easily. 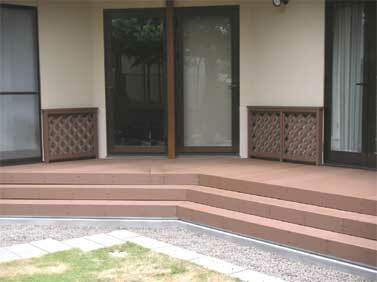 ●This deck features scratch-resistant and stain resistant material. ●The color doesn’t fade and the quality lost year after year. ●The base supports have been coated with a rust preventive. 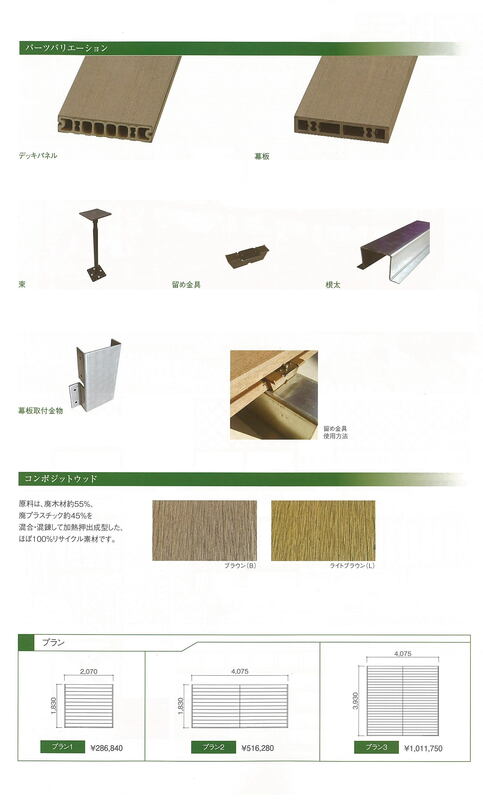 ●We have 2 colors for deck panels; (B) Brown and (L) Light brown.